FAMILY OWNED FOR 65 YEARS! 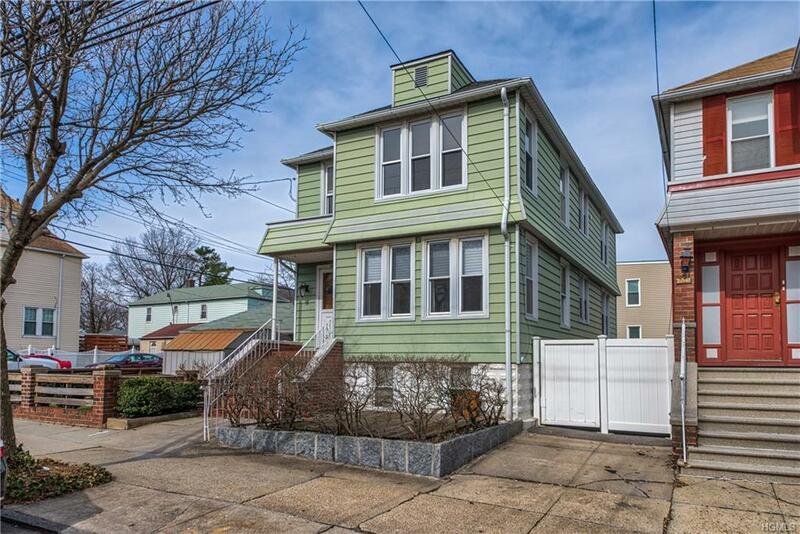 This sunny, fully detached, corner 2 family home in the Pelham Bay Section of the Bronx is move in ready! Parking for 3 cars or more (tandem) and 2 car garage, no alternate side! Walk to subway, bus, grocery stores and schools. This home is full of light and bright, has a two bedroom, one bathroom apartment over a two bedroom, one bathroom apartment and a walkout basement with washer/dryer. Renovated kitchens with stainless steel appliances, wood floors and many, many windows. New Roof Installed 2006, Fence installed 2013, Furnace and Water Heater installed 2015. Listing courtesy of Maria Karsou of Keller Williams Ny Realty.